The holiday season is already in full swing. And, I believe, you would have already pushed all the right buttons, at all fronts, be it your website pages, social media pages, marketing emailers and all, before things might get too hot to handle for you. However, a checklist will always come handy, I believe. It will not only keep you on your toes but will remind you of the pending activities that might need your attention, now or later on. Right off the bat, let’s address this tip of ‘knowing your customers better,’ because it’s your customers’ holiday season, after all. And, so, obviously, your focus should be on your customer’s happiness, only. And the best way to do that is to deliver content that would actually pique their interest. However, you will have to undertake some groundwork beforehand to come up with something that’s in alignment with their needs. It could be collecting customer inputs before the actual holiday season begins by shooting emails to subscribers or putting up a Facebook post seeking their valuable inputs as to what do they expect from your business. Is it money-saving coupons, surprise gift packs or something else? Using this customer input you could send personalised emailers and notifications to your targeted audience. It goes without saying. You need to deck up all your offline and online spaces as well. Simply because all these customers whom you are trying to allure through various marketing gimmicks, should get a holiday feel as well when they enter your stores. And, yes, of course, even you’re marketing messages; including your online marketing messages, such as emails should have the holiday look and feel. No matter what, don’t forget to schedule events beforehand. I bet, scheduling events beforehand will push you and store in the holiday mode. In fact, planning it weeks and months ahead will give you a head-start over your competitors. The four biggest holiday shopping days you need to keep in mind no matter what businesses you are running include: Black Friday, Small Business Saturday, Cyber Monday and Giving Tuesday. This is a surefire way to draw attention to products or services on a dime. Even if you are a small business, offering a free sample of your product, increases the chances of your product getting tested, and, in turn, making it way to the curated list of influencer’s fave products of 2018. Or their holiday gift guides. During holidays people are inclined to donate more than they usually do. You could take advantage of this tendency by adding a charitable element to your discount offers. Tell people that a big portion of your holiday sales will be used for funding hunger programs, orphan programs and things like that. This ways, you’ll not only inspire customers to buy from you but also enable you to help the less fortunate ones. How about extending your working hours during the holidays? Of course, it will be hard for your workers. But then, as they say, no pain, no gain. Putting in a few extra hours will surely give your business an edge over your competitors. And, more importantly, your customers will enjoy it too. If this ‘extra hours’ thing won’t work for your business, think of organizing a private event at your store. Send out special invites to your customers, with regards to the same, announcing special discounts offers and more. And, if in case, the physical location thing is also out of question for your business, then the next best thing that you could think of is organizing a cyber event as such as a Google Hangout or TweetChat. Think about it! Don’t wait for your competitors to start with their promotions. Go ahead and do it first if you want an edge over them. In fact, you should have rolled out your promotional offers in the first week of October itself. It could be a preview sale or some special offers for your offline store. Additionally, you could combine your special offers with a teaser image or a video clip online. Christmas is a season to spread good cheer. And, this you could do by offering exclusive deals to your loyal customers. Even offers such as “Free Holiday Shipping” or a “special coupon code” or even discounts on future purchases would up their goodwill quotient toward you. Don’t forget: Offer better deals than your competitors. It’s sure to entice your customers to buy more and more from you. You could even try out-of-the-box gifting ideas like sending out a physical card. Yes, this may sound bizarre in this digital age. Nonetheless, sending a card is sure to make your business stand out amongst the lot. Be, rest assured, it would leave a lasting impact on your customers. Nope, you don’t have to make your emails look like a Christmas card, literally. Simply add holiday-themed headers and it would work. 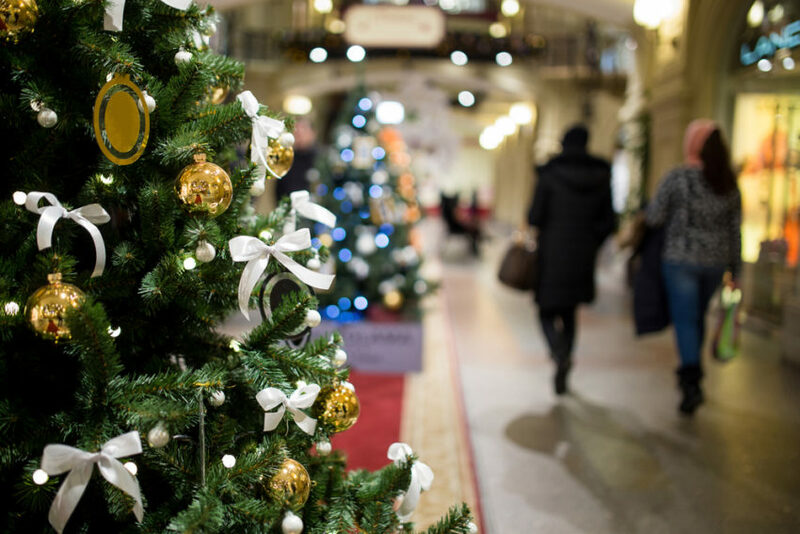 Visual clues evoke holiday mood in customers and inspire your customers to purchase. Get all your social media accounts up and running during the holidays. Host special social contests like “cutest Santa in town” or “crib contest” among many others. It will not only engage your audience but will attract new email subscribers as well. Take special interest in Pinterest during this holiday season. The channel is tried and tested in terms of driving online sales and is considered far better than other social channels.Try concocting a holiday-themed Pinterest board that promotes seasonal offerings and products. For more information, on how to leverage your social media pages, set up a consultation with us. People majorly prefer to shop with small businesses is because of their personalised approach. While your competitors may have to cook up stories, you will have real experiences to share with your customers. It can be from your past holiday promotions, which, might excite the customers and inspire them to do business with you. Your customers subscribed your emails for a good reason. In addition to your regular promotional offers, they are looking for something exclusive pertaining to holidays. So, offer them info about your upcoming holiday promotions or offer them a preview of your new seasonal products. It’s a perfect way to build holiday excitement. Customers are busy partying with friends and family during holidays. So, why not prepone your holiday discount sales before the season actually begins. This will help customers shop in peace and, more importantly, you will have head-start over your competitors. Thinking about after holidays is important because many customers patiently wait for the holidays to get over to make purchases. The bonus being: smaller crowds and better bargains. Everyone is on an over promotional mode these days. They don’t know where to draw the line. This, in turn, could get on the nerve of the customers. So, avoid bombarding your customers with sales messages during the holiday season. Instead, post pictures of your team gearing up for the festival season or post a team picture donning Santa hats. Think out-of-the-box! There you go! No fewer than 15 small business holiday marketing tips that will see through your holidays, successfully. All the tips may not be relevant for your business. Pick and choose what best fits your bill. If you have marketing, social media, or design questions, or are interested in working with us, please contact us below.